The entrances to the mountain Huayna Picchu are the most difficult to get because they are the fastest sold out. 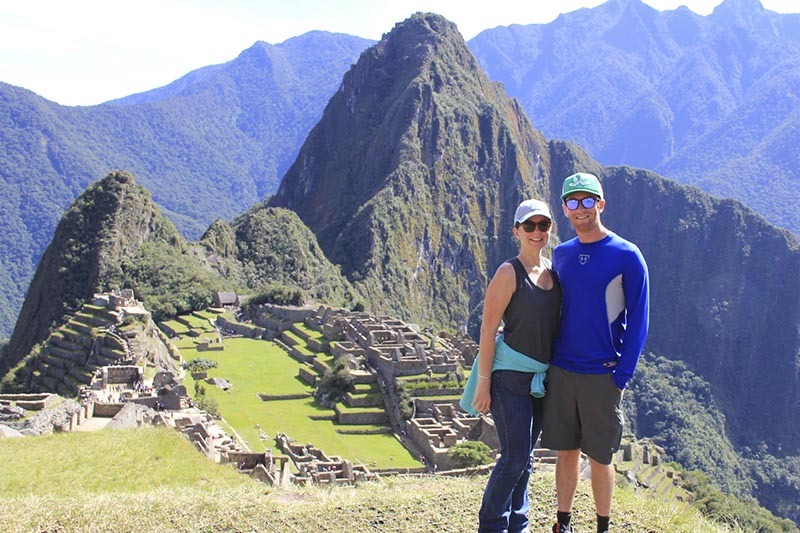 Get your Machu Picchu and Huayna Picchu tickets now! Standing in the Inca city of Machu Picchu is undoubtedly one of the most incredible moments for any traveler. However, the preparation of the trip to Machu Picchu and Huayna Picchu on your own, can become one of the biggest headaches. If you don’t book early enough, not only will you have to book another Machu Picchu ticket, but you may also have trouble choosing the train and hotel services needed for your trip, especially if you are planning to visit during the high season. A priori, it is difficult to know when will be the best time to visit Machu Picchu, how long before to book Machu Picchu + Huayna Picchu tickets, even how to organize the arrival there. So we will tell you how to do it. To ensure a place in the Huayna Picchu mountain for the desired date, book the ticket 3 months before. If you want to come during the high season, we recommend you do it 6 months earlier. You can choose one of the 2 groups to enter the mountain Huayna Picchu. Keep in mind that the entrance Machu Picchu + Huayna Picchu allows you to be in Machu Picchu and the mountain Huayna Picchu for 6 hours; Also remember that you will have a time of tolerance to leave Machu Picchu without hassles. You can book train tickets a few weeks before your visit; however, we recommend you book your seats immediately after knowing the date on your ticket Machu Picchu + Huayna Picchu, this will avoid having to choose between the more expensive services that are usually those that are left at the end. After securing the Machu Picchu + Huayna Picchu tickets and the train tickets, you can proceed with the reservation of hotels, in Cusco and / or Aguas Calientes, guides and any other experience you want in the city of Cusco, remember that it is the best destination in South America. To take advantage of all the time available in Machu Picchu, we recommend spending the night before your visit in the town of Aguas Calientes, this will allow you to be one of the first people to enter Machu Picchu and of course, be among the first to begin the ascent to the Huayna Picchu mountain. To get from Cusco to Aguas Calientes, the village at the foot of the mountain where Machu Picchu is built, you should do the following. You can board the buses, cars or minivans, from Pavitos street, a few blocks from the historic center of Cusco, cost around 20 soles and take approximately 2 hours to arrive. 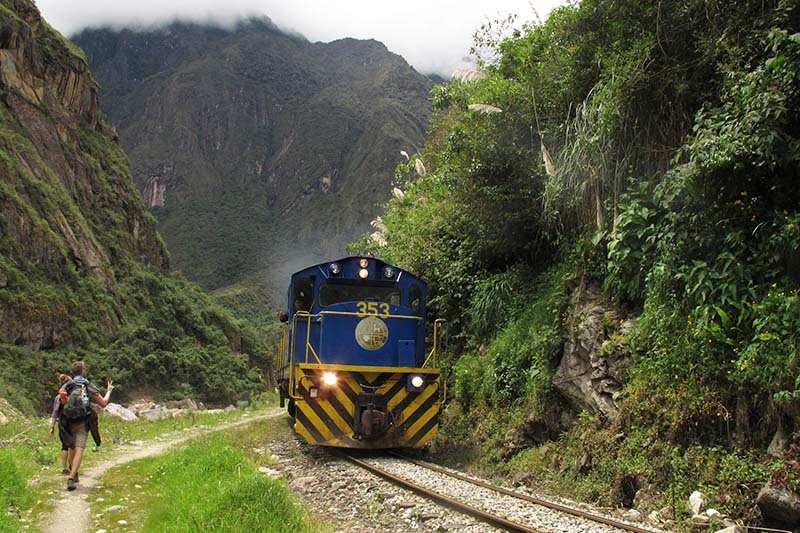 All services will leave you very close to the train station to Machu Picchu. With the train tickets already booked (much earlier), you can board your train at the Ollantaytambo station, until the final station in the town of Aguas Calientes (Machu Picchu town). We recommend you arrive in Aguas Calientes one day before your visit, especially if you booked your entrance to Machu Picchu and Huayna Picchu in Group 1. Once you are in the village of Aguas, just two blocks from the train station, you will find the bus ticket office to Machu Picchu; you will recognize by the long line of people to her. Remember that you can only purchase the bus ticket to Machu Picchu with your passport. You can board the buses to Machu Picchu from a small bus stop right in front of the ticket office. Why is the Huayna Picchu so important? Actually, more than important, it’s impressive. The Huayna Picchu mountain is famous throughout the world for its incredible trails beside huge cliffs, the stairs of death, the views you can get on the way and the top, and because it houses one of the most impressive Inca buildings in all the national park, the beautiful Temple of the Moon. All these characteristics make this the most impressive trek in Machu Picchu and one of the best short walks in the world. You will need to have at least 12 years to travel the trails of the Huayna Picchu mountain to the top; Oh, one more thing, we recommend you refrain from booking the Machu Picchu + Huayna Picchu ticket if you can not control your fear of heights. It is a very steep path, made of stone and dirt, between the walls of the mountain and chasms of hundreds of meters, so it is best to come with the right equipment; we recommend hiking shoes, and that everything you have to carry (water, camera, blocker, etc.) fits in a small bag that allows you to have your hands free. You will need to present your Machu Picchu ticket printed, along with the document or documents with which you made the reservation, otherwise you will not be able to enter Machu Picchu. If you do not manage to book your ticket to enter the Huayna Picchu mountain on time, know that the most similar experience is the hike to the Machu Picchu mountain. You can book the ticket Machu Picchu + mountain some weeks before. So… is it worth going up to Huayna Picchu? Totally. When you’re up there, take a place – as good as you can – between the rocks at the top and get ready to enjoy a unique show. If you climb in group 1, you can see how the morning mist dissipates so that you can see, from 300 m above, the sacred city of the Incas.